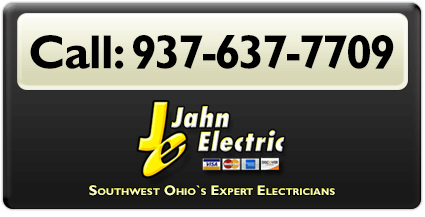 For your electrical installations, repairs and maintenance solutions in Southwest Ohio, depend on the experience and expertise from the team at Jahn Electric. With a rapid response to your call and a service level that we back with a written warranty, you can be sure you'll receive the best solution and service for your electrical needs. Read some of our customer testimonials here and about our service level guarantee here. We'll safely and professionally take care of your panel needs including installing your new panel board, checking for code compliance, all safety checks and repairs as well as increasing capacity to ensure a continued safe supply of power to accommodate all your home's electrical appliances. 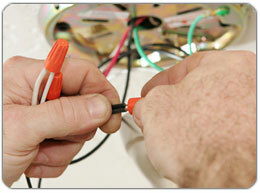 Old wiring can be potentially hazardous and unsafe. 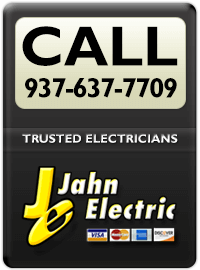 At Jahn Electric we can inspect your current wiring to confirm safe operating and code compliance and expertly install any new wiring. Whether you want a new style of switch installed for aesthetic appeal or you need additional outlets in new locations, we can install them for you. From layout design to choice in fittings and fixtures to a safe and professional installation, we'll take care of all your interior lighting needs. Whether you need new lighting installed or a complete design service to highlight your favourite landscaping features or outside dining area, we can help with all your exterior lighting needs. We'll install and provide expert advice on the perfect location for your security lighting needs. 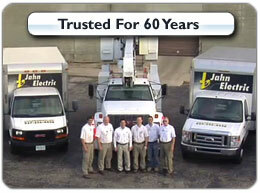 We can help with expert advice and installation of money saving energy efficient lighting solutions. Protect your appliances and home's electrics with a professionally installed surge protection system. 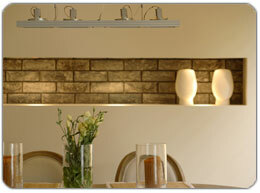 We'll also help you with expert advice on choosing the right system to suit your individual requirements. Protect your critical electrical items and appliances when a power failure hits with a standby generator that will keep your computers, refrigeration, HVAC, security systems and any electrical medical equipment operating at full capacity. Professional installations and repairs for your ceiling and ventilation fan needs. We're fully licensed, insured and experienced for all your commercial electrical installations, repairs and maintenance solutions. 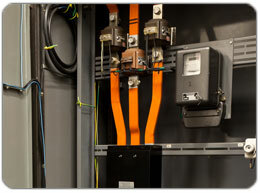 Read more on our Commercial Electrical Solutions page here. We'll professional install all your home's electrical appliances as well as assist with connecting your home's entertainment systems and installing additional sockets if needed. Smoke detectors wired in to your electrics are more reliable than battery operated systems and with a professional installation by electrical experts, you can relax in confidence that your smoke detector will operate reliably if a fire occurs in your home. Water and electricity are a lethal combination, so it is vital that any electrical work you need on your hot tub or pool is performed by a licensed and experienced electrical professional. 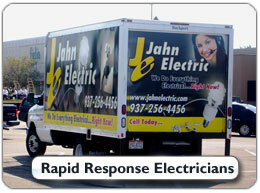 If you need an urgent electrical repair, we have electricians available across Southwest Ohio and surrounding areas to ensure a fast response 24/7 for your electrical safety. 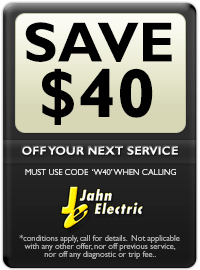 For all your quality electrical solutions in Southwest Ohio and surrounding areas, call and speak with your electrical experts at Jahn Electric today.